Sleep apnea is a potentially serious condition that affects an estimated 26 percent of adults. Sleep apnea is a sleeping disorder which causes the airway to become blocked during sleep, preventing oxygen from entering the lungs. There are many risk factors which increase the likelihood of suffering from sleep apnea, and steps you can take to reduce the risk factors and to reduce symptoms. If you suffer from sleep apnea, it’s highly possible you can’t report very much about your symptoms, because it happens while you are asleep. If you are noticing that night after night you wake from sleep still feeling tired and unrefreshed, it could be that sleep apnea is the problem. We investigate exactly what sleep apnea is, what causes it, what can be done to avoid it and treat the symptoms. Sleep apnea is a common sleeping disorder which causes a person to have pauses in their breathing, or to take very shallow breaths during sleep. While the sufferer may not be aware of the pauses in breathing that occur, they often have a significantly negative effect on sleep, causing enough disturbance to disrupt important deep phases of our sleep cycle. The pauses in breathing can last from seconds to a minute or more, and can occur very frequently during a night’s sleep. Sleep apnea is a long term condition which can result in tiredness, lack of focus and poor quality of life. Complex sleep apnea syndrome, a combination of obstructive and central sleep apnea. During our normal breathing pattern, air enters the body through the nose and mouth to the lungs, from where it is absorbed into the blood for transportation to the rest of the body. When we breathe out, the reverse happens – the air flows from the lungs out through the nose and mouth. During sleep, our breathing mechanism remains the same, it just occurs at a slightly slower rate. While we sleep, and particularly in phases of deep sleep, the majority of our muscles relax, including the muscles surrounding the airway and the tongue. In sleep apnea, these muscles relax to the extent that the airway narrows significantly. While it is not possible, as some people think, to swallow your tongue, the muscle relaxation during sleep can cause the tongue to retract a little, causing further airway occlusion. A decrease in the body’s oxygen levels as a result of not breathing alerts the brain that there’s a problem. The brain is then stimulated to resolve the problem by switching the muscles around the airway back on, and sometimes by changing body position. In order to rectify an episode of sleep apnea, the brain has to rouse itself from sleep. It doesn’t have to wake into consciousness from sleep; it can do so in a light sleep phase. However, there are also serious long term effects associated with sleep apnea. As a result of a regular decrease in oxygen levels, the heart becomes stressed, heart rate and blood pressure increase. The body also releases more of the chemicals associated with increased stress levels and increases production of the substances that increase inflammation. Sleep apnea has been linked with increased risk of developing diabetes, high levels of bad cholesterol, fatty liver disease, heart disease and stroke. Research has shown a significant damage to the white matter in different areas of the brain in people with sleep apnea. (source) White matter is the part of the brain that connects different regions of the brain and allows it to coordinate body functions. There are several risk factors for sleep apnea. It’s more likely to happen if you sleep on your back, due to the effects of gravity when the muscles relax. Being overweight or obese is another risk factor. The additional intra-muscular fat increases the bulk of the tissues around the airway, making it more likely that they will become obstructed. Until the 1980s, the only form of treatment for sleep apnea was a tracheostomy – surgery to provide an opening to the lungs via the throat. Fortunately now there are other treatments. One method which has proven in research to be very effective is a form of respiratory ventilation, known as continuous positive airway pressure, or CPAP. It involves being fitted with a respiratory mask which covers the nose and mouth. The mask is connected to a machine which continually blows air into the airways during sleep. In effect, it uses air pressure to hold the airway open. One problem with CPAP, however, is that it requires the person to be connected to a machine while asleep, which can be a problem if they move a lot during the night. In addition, although CPAP technology has improved over the years, they do produce some noise which may disturb you or your sleeping partner, and take a bit of getting used to. Other breathing devices are also available, such as oral and nasal dilators designed to keep the airway open. There are also lifestyle changes sleep apnea sufferers can make to decrease their symptoms. If you are overweight, weight loss is one change that can help. Reducing or avoiding the amount of alcohol and any medicines that cause drowsiness can also help to reduce symptoms. Sleep apnea is a clinically recognized sleep disorder that can have serious negative effects on health, and the vast majority of people with sleep apnea don’t even know they have it. 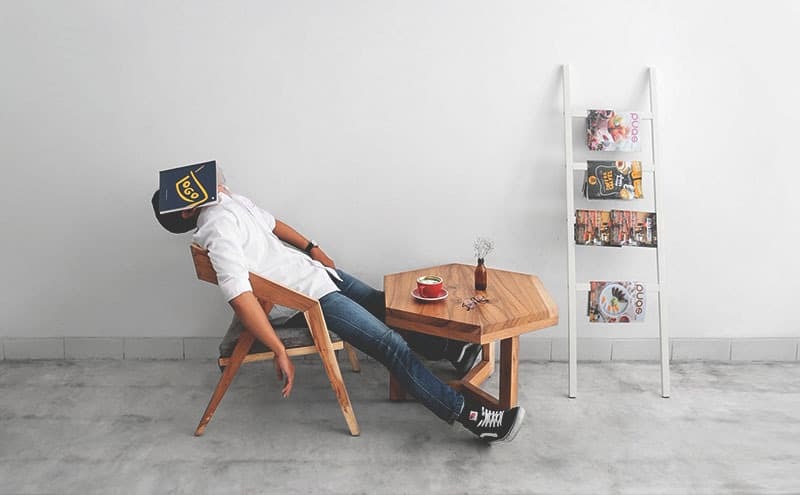 Even if undiagnosed, people with sleep apnea are likely to experience symptoms like feeling tired and un-refreshed regularly after a night’s sleep, unable to focus on their work and needing to sleep during the daytime. Anyone experiencing these symptoms regularly should check with their doctor, as sleep apnea can result in brain damage, high blood pressure, cholesterol and inflammation levels, increased risk of diabetes, liver disease, heart disease and stroke. Treatment is available for sleep apnea, and while traditionally surgery to open an additional airway at the throat was the only option, sleep apnea can now be managed with respirators and other breathing devices. It is also possible to reduce the symptoms of sleep apnea with changes to lifestyle.